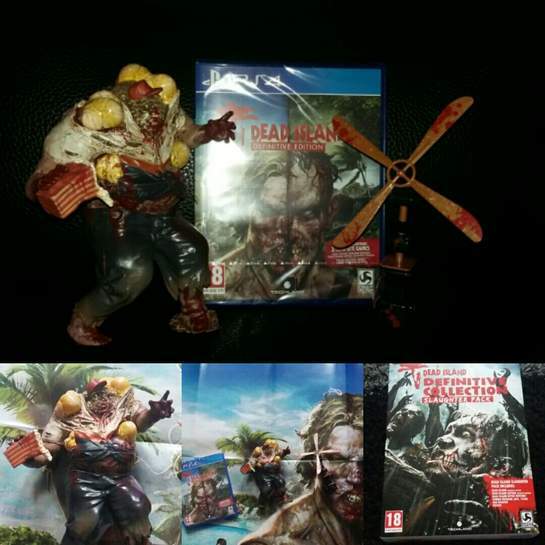 Contains the genre defining Dead Island and its undead successor Dead Island: Riptide. 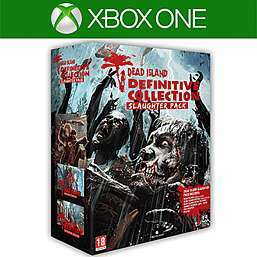 Bundled with all previously released DLC, the Definitive Collection also features the all-new side-scrolling retro game, Dead Island Retro Revenge. Are both £3.20 each ! I bought for PS4 month or so back. Statue thing is rubbish. Wish I hadn't bought - even at £20. I bought for PS4 month or so back. Statue thing is rubbish. Wish I hadn't …I bought for PS4 month or so back. Statue thing is rubbish. Wish I hadn't bought - even at £20. It’s unusual for the statues to be any good. When Pokemon Sun & Moon came out the pre order figures looked like they’d escaped from a kinder egg. Currently on Xbox dash board Dead Island Definitive Edition Dead Island …Currently on Xbox dash board Dead Island Definitive Edition Dead Island Riptide Definitive EditionAre both £3.20 each ! Which means the rest of the price is for the box and some tat pretty much then. Funny. I have the Deus Ex, Black flag and watchdog 2 statues and they are all worth 20 each. Which means the rest of the price is for the box and some tat pretty much …Which means the rest of the price is for the box and some tat pretty much then. Definitive Edition includes all DLC.